Wellbeing Framework - InstallNET | Office Furniture Installation Made Easy. Anywhere. InstallNET | Office Furniture Installation Made Easy. Anywhere. Wellbeing Framework - InstallNET | Office Furniture Installation Made Easy. Anywhere. In an effort to continue our focus on ways to help promote healthier personal and professional wellbeing, Crofton Yoga paid us another visit. Many of us stepped away from our desks at lunchtime to enjoy a gentle yoga class and find our inner peace. InstallNET’s success is driven by our employees, we value the knowledge and passion each and every one of them bring to the job and appreciate there dedication. We strive to provide an environment that is challenging, stimulating and rewarding…a place where they want to come to work and feel valued. 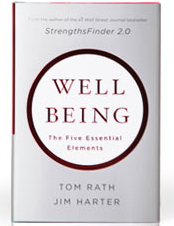 Simply put…we want to promote a high level of WELLBEING. 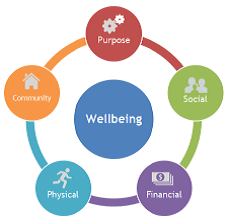 Wellbeing is a growing area of research that we hear a lot about, it’s the combination of our love for what we do each day, the quality of our relationships, the security of our finances, our physical health and the pride we take in the communities we work and live in. This is also referred to as Career Welling. We spend the majority of our waking hours during the week doing something we consider a career, occupation, vocation or job. This helps shape your identity whether you’re a student, parent, volunteer, retiree or have a more conventional job. The extent to which you feel a sense of belonging and social inclusion; a connected person is a supported person in society. Lifestyles, ways of living together, value systems, traditions and beliefs are all important to our social wellbeing and quality of life. A state of being wherein a person can fully meet current and ongoing financial obligations, can feel secure in their financial future, and is able to make choices that allow them to enjoy life. Health is connected to mental and emotional health. Taking care of your body is a powerful first step towards mental and emotional health. The mind and the body are linked. When you improve your physical health, you’ll automatically experience greater mental and emotional well-being. Taking pride in your community. Volunteering not only benefits society but increases your learning and interest level throughout the day.